The Pergola Group are the absolute masters when it comes to pop up dining in London with a string of successful ventures to their name. 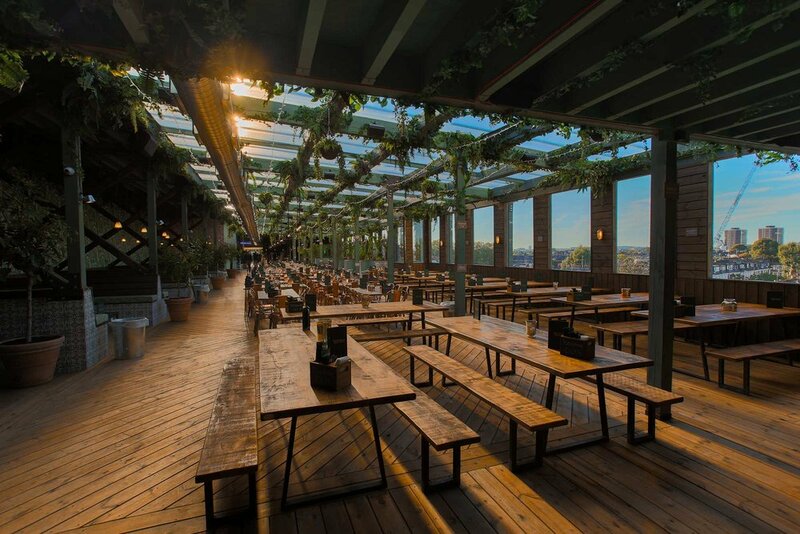 The latest in the collection is Pergola Olympia, located on a beautifully designed rooftop right next to Kensington Olympia. We created them a bespoke playlist for the site focused around funk, disco and soul – perfect for after show dining or evening drinks.